"For those who fight for it, freedom has a special flavor the protected will never know." 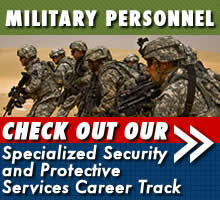 SGI offers a variety of tactical training courses open to the general public. The same instructors who teach our law enforcement and military tactical training courses teach our civilian courses. These courses are designed to introduce shooters to the fundamental skills of combat marksmanship and improve their survivability in a violent encounter. Our civilian courses range from our popular Defensive Pistol Craft series to Tactical Home Defense for the family. SGI also offers a series of specialized Wilderness training courses developed specifically for hunters and other outdoor enthusiasts such as our Long Range Precision Marksmanship course and our Hunter/Tracker big game series. Shop for a civlian training course and sign up online now! The SGI Defensive Pistol Craft Series introduces shooters to the art of modern handgun defense. This progressive six-part course focuses on personal safety, marksmanship, firearm manipulation, tactics, communication, and mental preparation. Instruction in the defensive use of the handgun will be oriented toward street use by law enforcement personnel and tactical home defense. The SGI - California Concealed Carry (CCW) Courses are for citizens who are interested in obtaining their CCW permit. Course fee includes book, handout material, training course certificate, refreshments. The SGI Tactical Shotgun and Tactical Rifle courses were developed to illustrate the numerous tactical applications of these versatile weapon platforms. Students will practice multiple shooting concepts on a linear range as well as several drills utilizing urban entry techniques. Drills include both urban and rural scenarios. The SGI Combat Trauma Care (CTC™) Series focuses of teaching students Basic Life Saving techniques in difficult, and often, inaccessible environments. Our instructor cadre is drawn exclusively from the ranks of the U.S. Special Operations Medic Community and board certified Vascular Trauma Surgeons. All of our CTC instructors have extensive experience in treating traumatic injuries in hostile environments. The SGI Unarmed Combative's Series is a "no nonsense" training program that focuses on the development of survival skills for Executive Protection Officers, Police Officers, Flight Attendants, Emergency Room Nurses or Proactive Citizens. This course will develop skills that will enable attendee's to counter physical threats and survive a life-threatening confrontation with an assailant. Solutions Group International (SGI) is proud of our exclusive teaming agreement with one of the world's most renown tracking experts, David Scott-Donelan and The Scott-Donelan Tracking School (TSDTS™). SGI and The David Scott-Donelan Tracking School specialize in the delivery of professional tracking courses to a variety of service sectors worldwide. The Solutions Group International (SGI) Hollywood S.W.A.T. Academy is specifically designed for actors who are serious about their craft, their safety, and who are looking to develop their skills to accurately portray law enforcement and military personnel on screen. The Solutions Group International Women’s Basic Handgun Familiarization Course is being presented in partnership with Bass Pro Shops. This is a beginner program designed specifically to empower women who have had little or no exposure to firearms.